Marketing is one of the most important aspects when selling your Townhome! Any realtor can put your home onto MLS.ca or Realtor.ca, then sit back and wait for it to sell...or hope it will sell. Here are just some of the things that the Frank Mihal Team will do to effectively market and sell your home. Over 90% of people use the internet and the web to start their real estate search or to locate a real estate agent. A great web presence is extremely important to effectively market your home to this massive group of buyers. 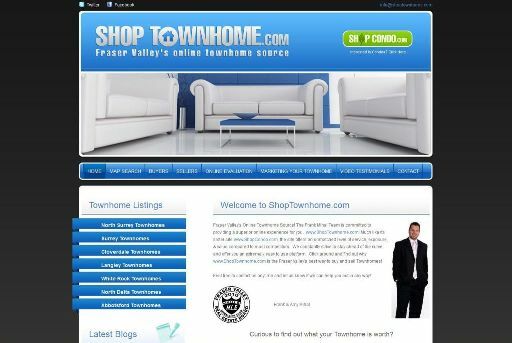 www.FrankMihal.ca is the highest ranking realtor website in the Fraser Valley, with more hits and pageviews than any other site. What does this mean? Simple. More traffic and more visitors looking at your home for sale! Exposure to the most amount of people is the key! Have you ever looked on the MLS only to see 1 picture of the front of the property, or worse, no picture at all?...it can be very frustrating. A home with limited or no pictures may be forgotten as buyers often assume it is because the home does not show well. More than ever, home searches are done online and people want to see what the property looks and feels like before ever setting foot inside. The Frank Mihal Team works with a group of professional photographers that take quality wide angle pictures & a virtual tour of your home. This guarantees that prospective buyers coming through your home are already very interested as they already have a feel for your home and are now just taking the process one step further. This eliminates people walking through your front door and realizing it's not for them, thus wasting everybody's time and efforts. The amazing 360° horizontal & vertical virtual tour, gives buyers the ability to see your home as if they were there themselves...wall to wall and floor to ceiling! We also feature Google Street View, incorporated into every listing making it even easier for prospective buyers to get a feel for your home & neighbourhood! The Frank Mihal Team believes strongly in the benefit of personally showing your home to potential buyers & buyers agents. This gives us the opportunity to point out the unique benefits & features that your home may have over the competition. In addition, it allows us to take the buyers for a tour of the club house which is a huge selling feature and something that is otherwise generally overlooked and never viewed by using a lockbox as most Realtors do! Sellers piece of mind is a bonus as well as strangers will not be viewing your home on their own, not to mention it's a great way to get instant feedback from potential purchasers. Social Media has changed the face of real estate and is something that is definitely here to stay. If used properly, it gives people the power to expose things to thousands of people instantly. We effectively utilize the 2 largest social media platforms... Twitter & Facebook. Using these online tools are a great way to spread the word to potential buyers as well as other realtors for new listings, open houses, price reductions etc... to get maximum exposure for your home! Frank & Amy are both fully licensed realtors in the Fraser Valley with Royal LePage Coronation Park. When listing with the Frank Mihal Team, you get the benefit of having not only have one but two realtors taking care of all your real estate needs at all times. This ensures that nothing is overlooked and every detail can be taken care of in a timely fashion. Find out why 90% of our business comes from referrals! Frank's Video Blogs (Vlogs) are done to educate viewers on trending topics in most cases with respect to real estate in the Fraser Valley. Frank gives both buyers & sellers advice and tips on real estate as well as voicing his own personal opinion on the market and local events. People from all over visit www.FrankMihal.ca on a regular basis to see what he has to say... increasing the exposure of his listings. Click here to watch Frank's video blogs. Full Colour Feature Sheets as well as the full data sheets give the potential buyers something to remember your property by. After viewing many homes, it is easy to forget what each home looked like and any features it may have had...we make sure they don't forget! At Royal LePage Coronation Park we have the huge benefit of 3 offices in the Coronation Group. Every time a property is listed, details of that property are emailed out to all the realtors from all 3 offices. In some cases we may have an offer for you before it even hits the MLS! Royal LePage also has an exceptional relocation program and is the largest Real Estate Company in Canada! We are both full time realtors and buying & selling Real Estate is what we do! And yes, we absolutely love every aspect of it! It's not just a job, its our passion! Nothing makes us feel better then when we successfully help you buy or sell your home...and you are nothing but ecstatic about the results. We always put ourselves in your shoes and realize the only way to earn your trust and future business / referrals is by having your best interest in mind 100% of the time!